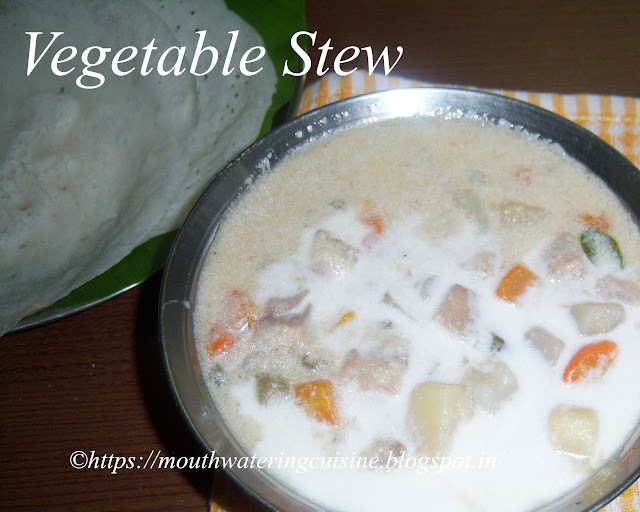 Vegetable stew -- another Kerala dish served with appam and can also serve it with roti. Vegetables cooked in fresh coconut milk. It is mild in taste, rather little bit sweet. I have learned this from a five-star restaurant chef. I already described it in my appam recipe post. I do not want to boost about it again. This simple recipe can be tried by anyone and any time. Carrots, potatoes, french beans and peas are always available in every household. Coconut milk is available in the stores also or we can make it instantly. If veggies and coconut milk available means making this curry is child's play. 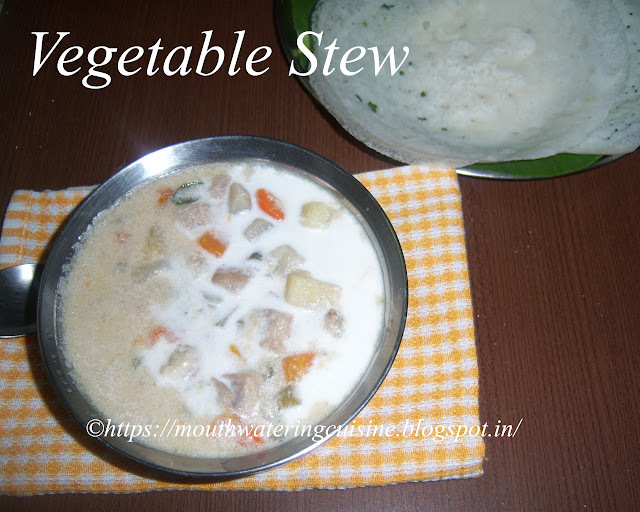 Vegetable Stew -- veggies cooked in fresh coconut milk. Cut carrots, potatoes and raw banana into blocks. Cut french beans into 1" long or we can chop them. Pressure cook all of them for one whistle with added salt. Drain and let the veggies cool. Chop and grind fresh coconut meat and extract milk from it, or we can use grated coconut also to extract milk. 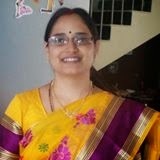 Or to simplify the task, we can use store brought one also. Heat oil in a kadai, add cumin seeds and pepper corns. When they start splutter add curry leaves and bay leaves. Add thin coconut milk, once it starts boiling add cooked vegetables. Allow the veggies to boil in it. Check the taste and add salt if necessary. Once it started rolling boil, slowly add thick coconut milk to it. Allow this to boil for two minutes and remove off from stove. Serve hot vegetable stew with appam.